The Associated Press has previously reported on the hidden history of mass executions by South Korea early in the Korean War. The following report looks in-depth at the U.S. connection. By Associated Press Writers Charles J. Hanley and Jae-Soon Chang. In the now-declassified record at the U.S. National Archives and other repositories, the Korean investigators will find an ambivalent U.S. attitude in 1950 - at times hands-off, at times disapproving. A North Korean newspaper said 1,000 prisoners were slain in Incheon, just west of Seoul, in late June 1950 - a report partly corroborated by a declassified U.S. Eighth Army document of July 1950 saying "400 Communists" had been killed in Incheon. The North Korean report claimed a U.S. military adviser had given the order. 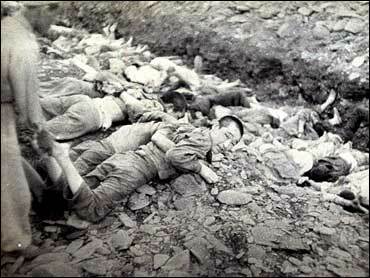 "After the fact - with thousands murdered - the U.S. not only did nothing, but covered up the Daejeon massacres," he said.